We happy keep up the good work!😁. Great service! I appreciate the convenience of using this company. Always on time and keep our yard looking great! Love this service! Well worth the weekly $15 price for picking up after our two dogs! Great job!! This is the best money we spend all week!! 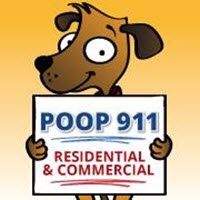 I’ve been using Poop911 for years now and I couldn’t ask for better service. There is an added bonus of professionalism and care of my animals from those that provide the service. Not to mention, the owner is customer focused, professional and always responsive to any questions or concerns I may have. I highly recommend! I'm not sure if they did my yard the last two weeks. But most of the time it's good. Best service, makes life one step easier!! Always reliable, friendly and easy to work with. They have done an awesome job ever since they started taking care of my yard. I think it’s been almost 3 years now and I’ve been extremely happy with them. Thanks for the dependable service. I have used the services for over five years. I am extremely happy with their work. Can't imagine not having them! Great customer service, they called me back after I had left a voice mail in the same day, and we set up our schedule right then. They’ve been at my house every week as scheduled and leave a post it so I know they were there. Also, I receive an email with my receipt every week. It’s a well run company. So happy I signed up for this service. It's nice to not have to worry about cleaning up the backyard! Always prompt and responsive to requests. Our rep does a great job! Excellent service always. We have been using it for 3 years now and not one complaint! We have used this service for well over a year now. Great job! I’ve used their services for several years. I’m very pleased. I find your service well worth the price. Thank you. Everything is fine but gate was not locked when she left. They doo a great job. Fantastic service! If you have a dog, you need these guys! Convenient, easy, never forgets to close my gate! Clean back yard! Kids can play freely! Nice people that get the job done.